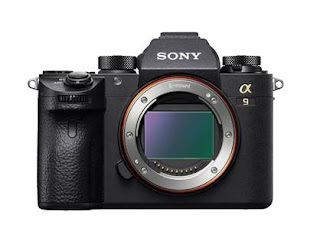 The new firmware version 5.0 for α9 adds Sony’s newly developed “Real-time Tracking” mode for object tracking. This mode utilizes Sony’s latest algorithm including Artificial Intelligence (AI) based object recognition and processes color, subject distance (depth), pattern (brightness) as well as spatial information to ensure that all subjects can be captured with extreme accuracy and precision. When photographing or taking videos of humans or animals[i], face and eye position information are recognized by AI and the subject’s eye is monitored in real time with extremely high tracking precision. In addition, “Tracking On” helps initiate real-time tracking at any time by simply pressing the custom-assigned button[ii]and “Touch Tracking,” which quickly activates through the touch screen2. Moreover, with this new firmware version 5.0, Sony’s acclaimed α9 camera will receive advanced “Real-time Eye AF,” the latest version of Sony’s acclaimed Eye AF technology. This exciting new capability employs AI-based object recognition to detect and process eye location data in real time, resulting in improved accuracy, speed and tracking the performance of Eye AF. In all autofocus modes, the camera can automatically detect the eyes of the subject and activate Eye AF with a half press of the shutter button, and the camera will seamlessly track the eyes when in AF-C mode. The new firmware also enables photographers to select the preferred eye (left or right) of their subject as the focus point. Other focusing capabilities that will be available with the new firmware include TouchPad, Touch Tracking, an extended phase-detection AF aperture range that has been increased from F11 to F16, and Fast Hybrid AF for movie shooting that provides smooth, automated focusing for movies. Image quality will also be enhanced with the new α9 firmware version 5.0. specifically, in the areas of color reproduction, as the camera will more accurately account for subtle changes in light for smoother, more natural tonal gradations in elements like the sky. There is a new auto white balance algorithm that gets added as well, which produces more consistently balanced images while burst shooting. Other new functions for effective controls and data management include My Dial and Dual Slot media menu improvement, rating and protect functions. The new software adds compatibility with Sony’s new ‘Imaging Edge Mobile’[iii] application, the successor to ‘PlayMemories Mobile™’. Version 6.0 firmware for the α9 camera will add Eye AF for animal eyes1, an exciting new feature for wildlife photographers that will enable interval shooting functionality for creating time-lapse movies7. Additionally, the cameras will also receive interval recording functionality that will allow for the simple creation of time-lapse movies[iv]. The new feature can be set for anywhere between 1 and 60 seconds, with a total number of shots from 1 to 9999. AE tracking sensitivity can also be adjusted to “High”, “Mid” or “Low” during interval recording, allowing for reduced changes in exposure over the shooting interval.